NYC Cookies: 15 Cases of Tim Tams at Tuck Shop RIGHT NOW! On the seventh day, the Lord rested. … and made Tim Tams. Go to the Tuck Shop, Manhattan’s best and only Australian bake shop, immediately and buy Tim Tams. Fifteen cases just arrived and they’re going fast. 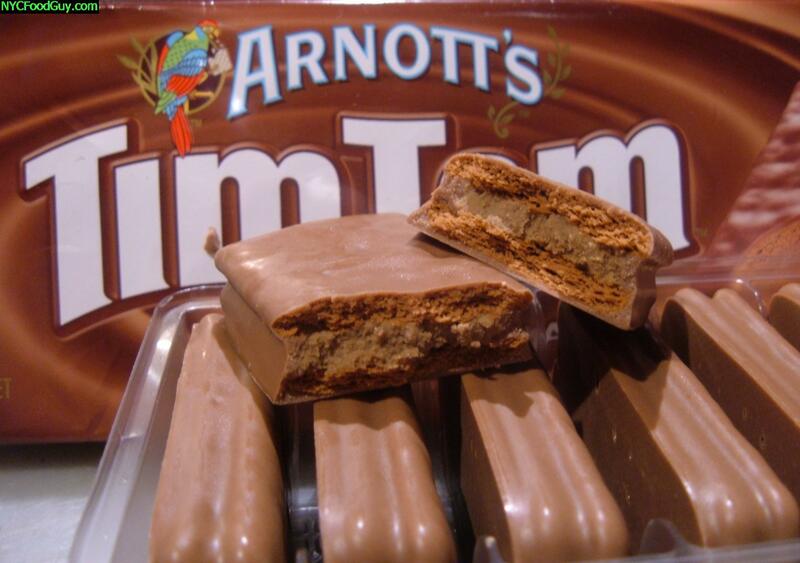 For those of you who are late to the party, Tim Tams are the best packaged cookie ever made. I liken the taste to chocolate EL Fudge cookies filled with silky chocolate and dipped in milk chocolate. You haven’t heard of them because they’re Australian, which only makes them more awesome. 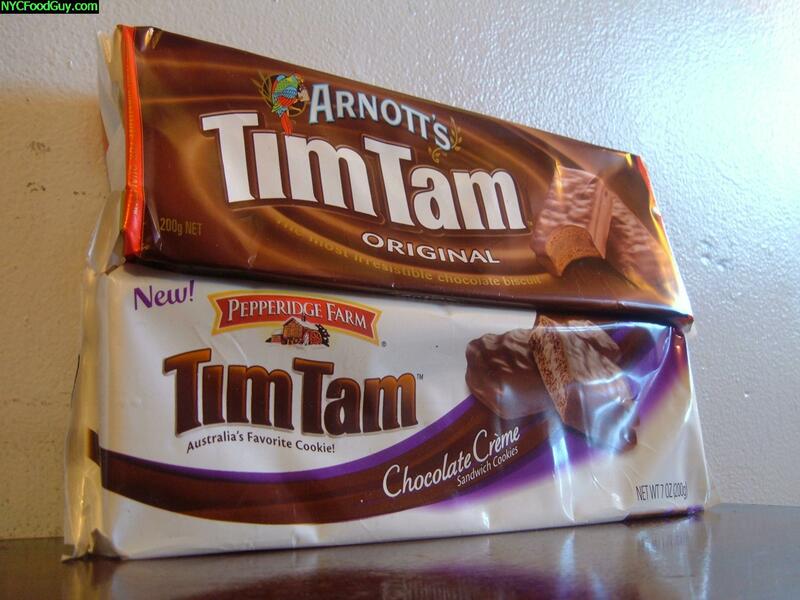 But now, Pepperidge Farm is selling Tim Tams at Target stores until March 2009, which means we only have 5 months to stock up on Tim Tams and tell Pepperidge Farm we want them to stay. Good thing for us, Tuck Shop, on 1st Street between 1st & 2nd Avenue, is selling Tim Tams FOREVER! I’ve introduced them to at least a dozen people in the last few weeks and everyone says they’re delicious. Amazingly, Tim Tams are not even the most delicious dessert at Tuck Shop, where they specialize in Australian street food (nothing like the Halal Guys). In fact, two of the best desserts I’ve ever had can only be found at Tuck Shop: Lamingtons and Vanilla Slice. Click here for even MORE deliciousness.